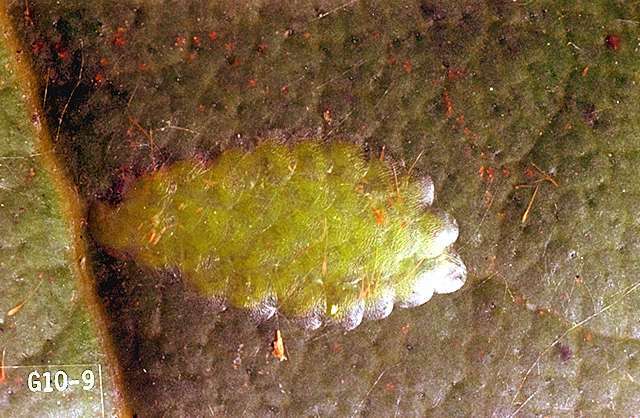 Pest description and damage Portuguese laurel (Prunus lusitanica) is sometimes infested with carnation tortrix. 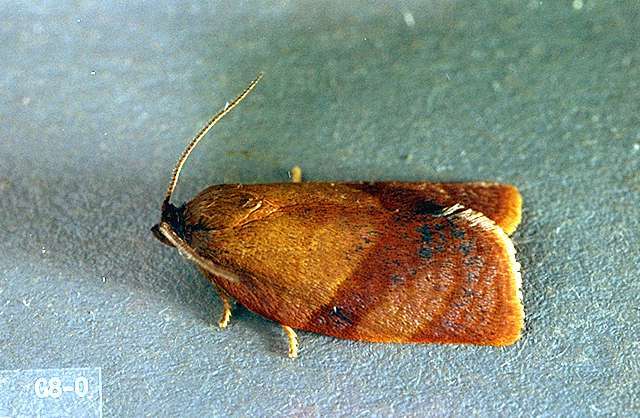 This is a small, bell-shaped brown moth with reddish underwings and dark bands on the upper wings. The caterpillars are light brown or greenish with brown heads and are about 0.375 to 0.5 inch long at maturity. 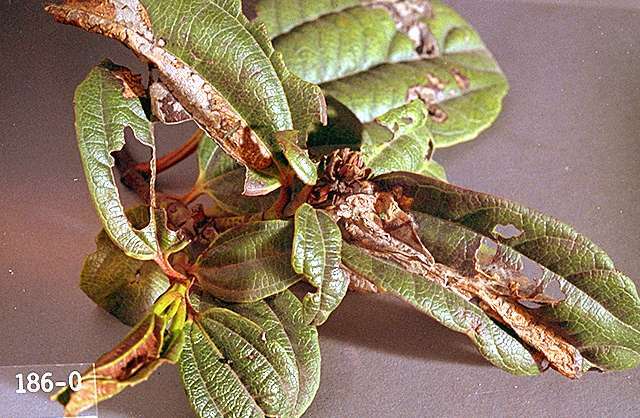 The larvae feed by rolling leaves and tying them with webbing. 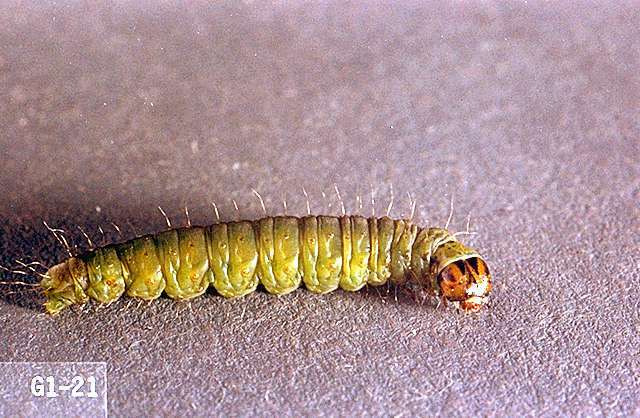 The larvae are very active when disturbed often wriggling backwards. The carnation tortrix attacks many broad-leaved plants but seldom causes serious damage. Outside the U.S., it has been reported to be a serious pest of carnations. Biology and life history Adults females lay yellow, flattened oval-round eggs in groups of 10-200 for a total of 500-700. Eggs take 5 to 55 days to hatch. Larvae are active year-round and are able to disperse by ballooning on the wind. Pupation takes 10-15 days.